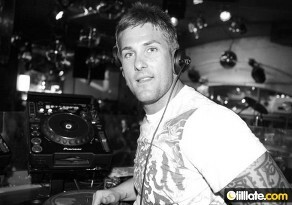 Marc is based in the Northeast of the country and has been in the industry DJ’ing & promoting for nearly 13 years. He has played in and around the Northeast & the midlands in some of the biggest and most prestigious venues the areas have to offer. His style can be adapted to suit any dance floor that he is sure to rock, no matter what the occasion!! Marc was discovered storming the dance-floor at the Glass Spider in Sunderland during a Fierce Angel residency and was quickly snapped up to play at our events. His work for Fierce has taken him to Ibiza, Russia, The Ukraine and Ireland. Dedicating his career to entertaining the crowd Marc has been lucky enough to work with some of the biggest djs the world has to offer, this has given him the confidence to promote his own ability and pursue a career within the industry that will enable him to travel and show the rest of the world what he can do, so watch out people, things are about to get very fierce! !